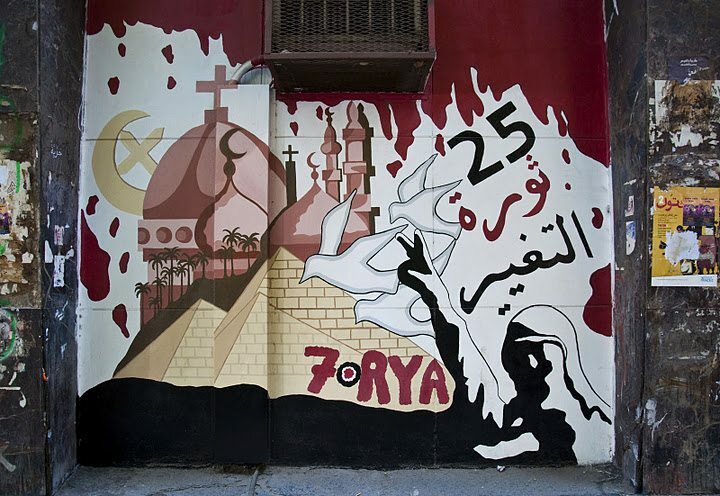 In post-Mubarak Cairo, history is being written with spray cans, stencils and paint. Portraits of those who have been killed or imprisoned during the ongoing revolution are stenciled across the city; graphics and murals deliver messages to passersby. City walls and bridges commemorate martyrs, tell us to speak up against oppression, and remind us that we’re all the same – “كلنا يد واحدة”. 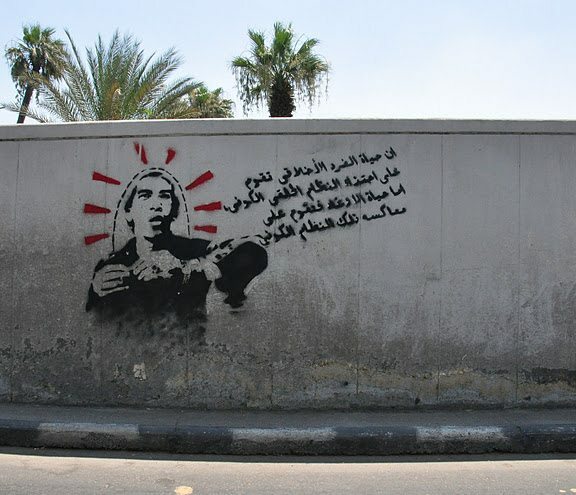 Today, nine days since the demonstrations for a civil state started on Tahrir, Visual Sunday is dedicated to revolutionary street art from Cairo. A few days ago, the message “You will not kill our revolution” was painted next to the entrance of Mogamma, the big government building on Tahrir. Next to it, on the other side of the entrance, is a medley of people who symbolise the revolution. The drawing says “No reconciliation”. 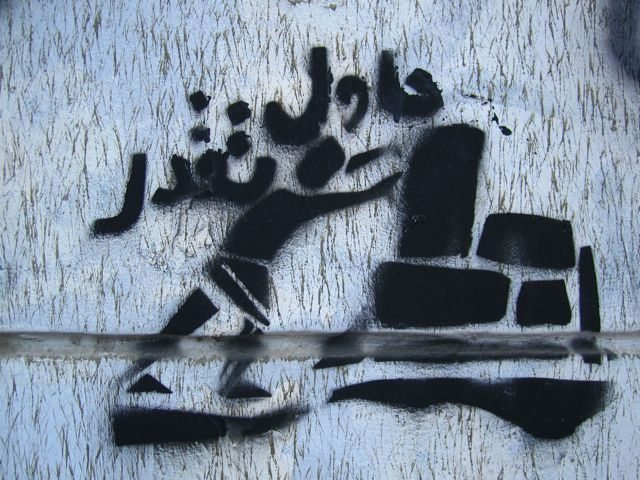 A drawing on a wall on Tahrir by Omar Picasso from رابطة فناني الثورة, the Revolution Artists Union. The text reads “Help me, my children!”. 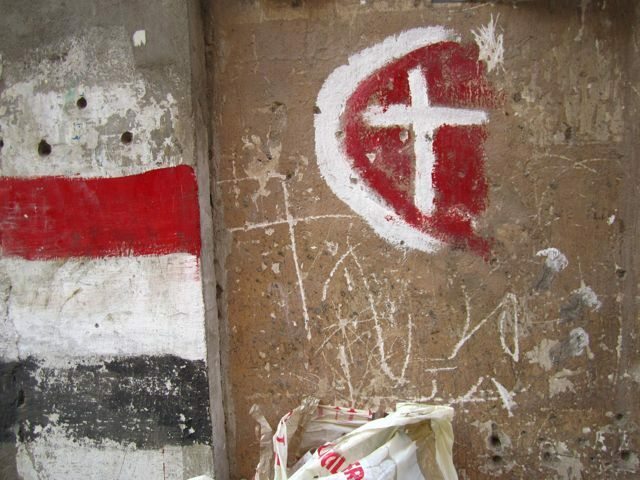 On walls in Shubra and Ein Shams, the Coptic cross and the Islamic crescent juxtaposed. 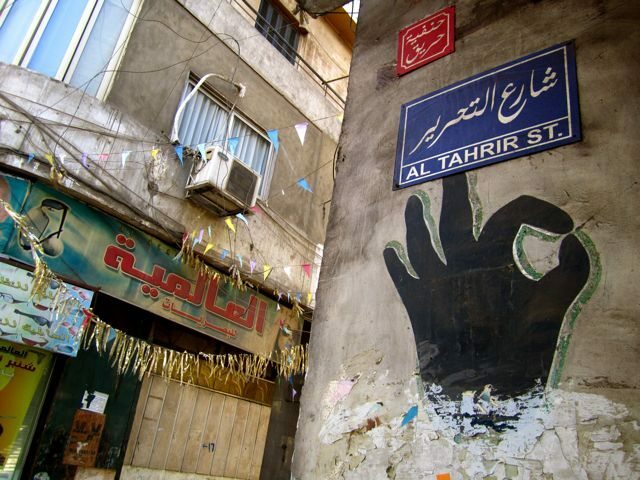 Cairo’s sign painters are the city’s traditional street artists. 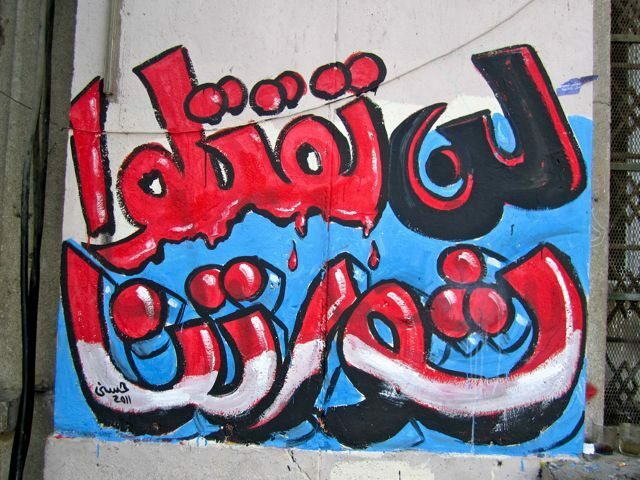 This calligraphy on Mohamed Mahmoud Street, made by one of these painters, reads “I love my country”. Alaa Abdel Fatah and Mina Daniel – two revolutionary symbols next to each other. Alaa (left) is right now imprisoned for his refusal, as a civilian, to be questioned by a military prosecutor. “Freedom for Alaa Abdel Fatah” is written under his portrait. Mina (right), a well-known democracy activist, was killed during the 9 October attack on demonstrators at Maspero. The message reads “We’re all the martyr Mina Daniel”. 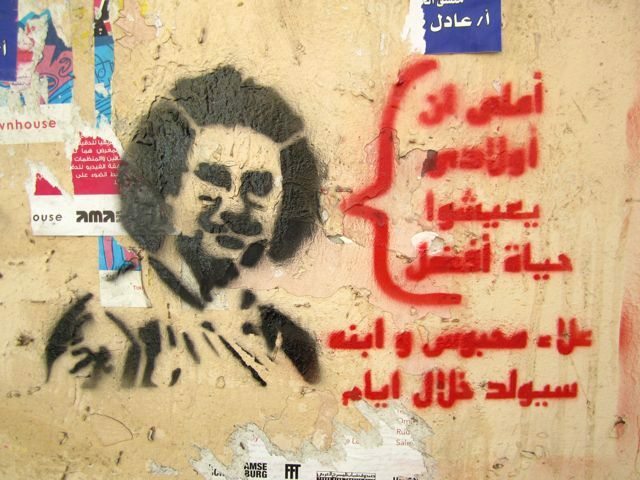 Since Alaa was jailed on 30 October, his face has been stencilled all over Cairo’s walls. This one says: “I hope for my children to have a better life” and “Alaa is in prison and his son is to be born in a few days”. Alaa’s wife Manal is soon giving birth to their first son, who will be named Khaled after Khaled Said. 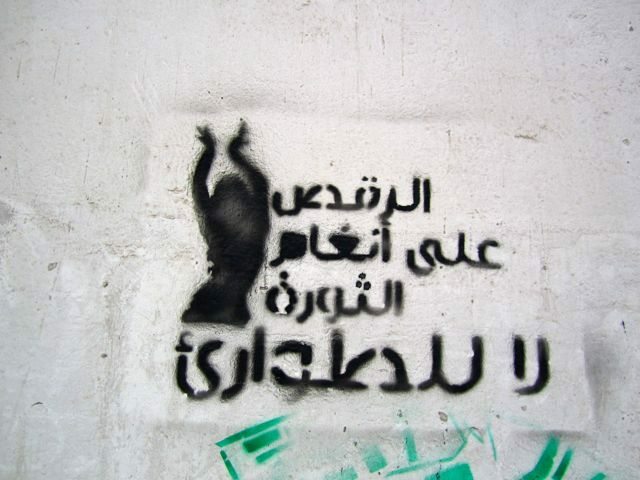 Stencil saying: “Dancing to the rhythms of the revolution” and “No to the emergency law”. This stencil calling for people to “Get down on the streets” can be seen across downtown. “Try it, you can do it”. “Tantawi’s Underwear”, a piece mocking Field Marshal Hussein Tantawi. 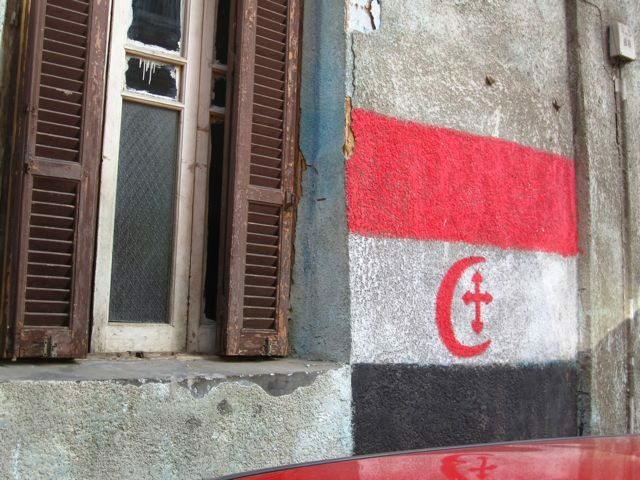 This one is from Falaki Square. 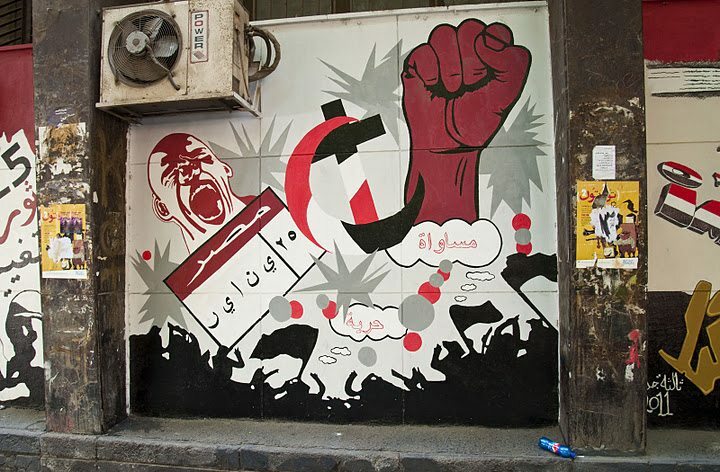 Mural on Ismael Mohamad Street, Zamalek, saying “Freedom”, “Equality” and “The revolution of change”. One of many street portraits of Khaled Said, the young boy who was beaten to death by police in Alexandria in June 2010 and became the revolution’s foremost symbol. “Khaled mish Said” is a play on words, meaning “Khaled is not happy”. Finally, two resources for more revolutionary art: Revolution Graffiti and Suzee in the city. Photos by Joanna Pollonais and Jenny Gustafsson.